Come along to FUN-filled interactive story telling presentation. 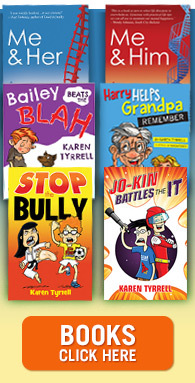 I promise you engrossing entertainment, surprises and crafty activities as I, Karen Tyrrell launch Bailey Beats the Blah encouraging audience participation. Anthony Puttee: director of Book Cover Café , Bailey’s dynamic book cover designer will MC my book launch. Anthony will play Bailey and Kelly Hart will play Fuzzy the dog, leading a story re-enactment with fun, humor and empathy . 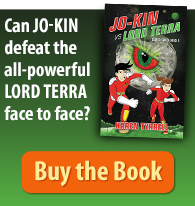 Please come along with your tribe of Kids to Logan North Library on 10am Saturday 2nd November. Bailey will also launch at BlackCat Books Paddington on Oct 26 1pm. 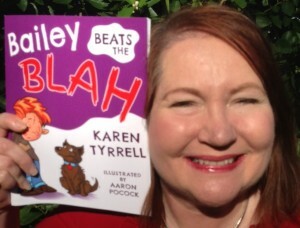 Kids Helpline counselling service supports Bailey Beats the Blah. Bailey is aligned with Kids Matter national education program. 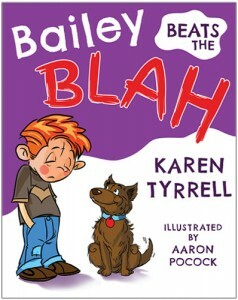 Can you please tell every child, parent, teacher and counselor about Bailey Beats the Blah launch event? Please underline Saturday 2nd November in your diary in BOLD. 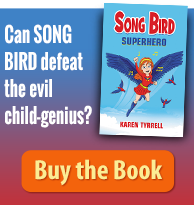 Call Logan North Library on 3412 4140 to reserve your seat.